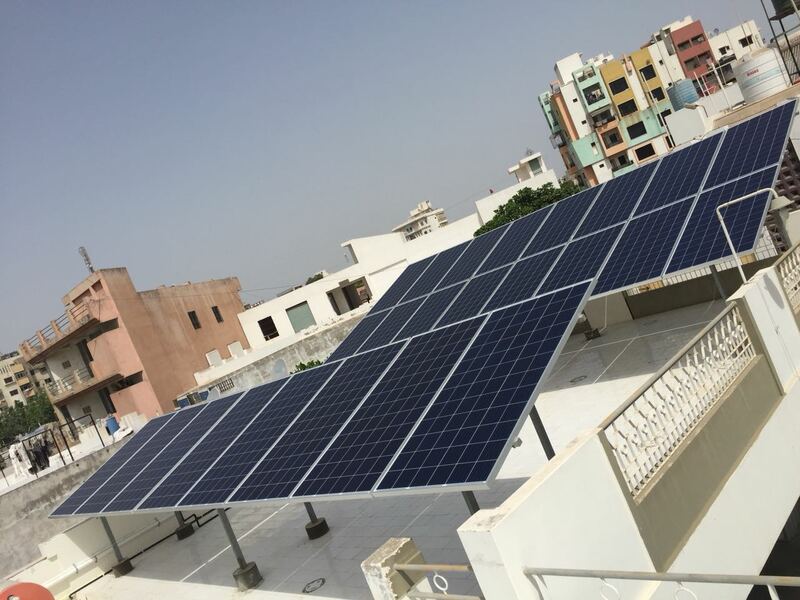 We at JAYRAJ SOLAR give a lot of emphasis and dedicated time on solar solutions towards delivering cost-effective Solar Powered Lighting, Solar Power backup Systems & Solar Hot Water Systems for Home/ commercial/ Community Premises. These systems are of high-quality, eco-friendly and are used extensively to solve real-world Lighting problems and also bring distinction wherever they’re installed. This is definitely a respite because business enterprises will really benefit with solar solutions and save a lot of money. Trust us, it is easily possible to get freedom from annoying unsteady and untimely power cuts and put an end to the increasing electricity tariffs. JAYRAJ SOLAR presents excellent solutions. All you have to do is install a Solar Power Plant at your home. Solar investment is a sensible decision keeping in mind the rising electricity prices and regular power cuts that affect productivity. By installing solar at your home, you can produce your own power and see your electricity bills and diesel consumption reduce to a minimum or let the system pay for itself via the Net Metering Option (where the local grid “PAYS YOU” for any units of exported). Our Roof-top systems can be Grid-Tied (with/without Net Metering), or Off-Grid (which use battery banks) and come in sizes ranging from 2kWp to 500kWp depending on customer preferences, available topography and budget. Thus, solar energy does wonders when you know the benefits and the cost saving perks that you will get to enjoy. This is regarded as environment friendly method and so they contribute to create a pollution free and clean environment.